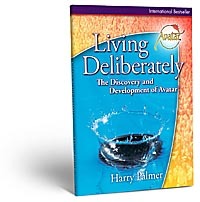 LIVING DELIBERATELY is the engaging story of Harry Palmer's spiritual journey that led to the creation of the Avatar Materials. "With a clarity attainable only by someone with an absolute command of his subject matter, Palmer masterfully takes what could easily have become a dry, complex drone of philosophic musings and turns it into a ringingly clear, engaging and usable book," writes reviewer Linda Decker of The Village Wordsmith. "You'll see yourself on nearly every page — Palmer calls you by name and warmly invites you into his exploration." The book has played a pivotal role in teaching people around the world how to manage their lives more successfully. LIVING DELIBERATELY: THE DISCOVERY AND DEVELOPMENT OF AVATAR® is now available to iPad users for free in the iBookstore store. Star's Edge International, the publisher of LIVING DELIBERATELY, continues to receive success stories from Avatar Course students. Over 23,000 of these stories are posted on the web site http://AvatarResults.com. ABOUT STAR'S EDGE INTERNATIONAL - Star's Edge International publishes books, videos, online materials, and a series of experiential courses that guide people into and through transformative experiences. The company was founded in 1986 and operates worldwide. Avatar®, ReSurfacing® and Star's Edge International® are registered trademarks of Star's Edge, Inc.